The Compass Players was a legendary theatrical ensemble in Chicago whose members developed several improvisational games to stimulate their creative instincts. One of these was called “Yes, and…” where one person would start telling a story and everyone who followed would have to continue the story however they wished from the point the previous speaker ended. Saxophonist Geof Bradfield has applied the concept of that game to this project, writing a suite for nine improvising musicians where each movement builds on what came before, sometimes veering off into a completely different direction. In practice, this concept breaks down into four long pieces played by the entire group that alternate with four short ones played by different trios from within the band’s personnel. It all starts off with “Prelude,” a bellowing tenor-led trio with Bradfield’s sax singing over Clark Sommers‘ bass and Dana Hall‘s drums. That leads into “In Flux” with Scott Hesse‘s guitar spraying notes over pulsing bass and drums and alternating with warm massed horn passages before Greg Ward‘s sour, piercing alto takes over. Then comes the solemn brass trio of “Chorale” which gives way to “Impossible Charms,” a moderately swinging groove with a bit of Charles Mingus swagger that features fine soloing from Bradfield, Marquis Hill and Joel Adams. “Ostinato” is a short, tangled cluster by the rhythm section that gives way to “Anamneses,” an extended work that starts out as deep-focused exotica led by Anna Webber‘s flute and Dana Hall’s rustling percussion. Eventually Hesse, Webber and Hall go into a slow-motion tumble with Hesse’s guitar developing a Spanish tinge. Then Russ Johnson takes commands with a slow, winding trumpet solo and the piece begins to sound like a simmering derivation of the Miles Davis–Gil Evans classic, Sketches Of Spain. On “Chaconne” the three saxophonists, Bradfield, Ward and Webber on tenor, play a measured chamber trio, with harsh, sliding harmonies, that eventually swirls into the choppy and chatty flow of “Forro Hermeto,” a tricky, polyrhythmic dance inspired by the work of Brazilian composer Hermeto Pascoal. Here the reeds and horns briefly bubble up, with Webber’s flute in the lead, before everyone takes a turn soloing over a lively samba. Here, as in many other places on the CD, Scott Hesse’s rhythm guitar is crucial in giving the music an extra bounce that makes it feel airy and free. 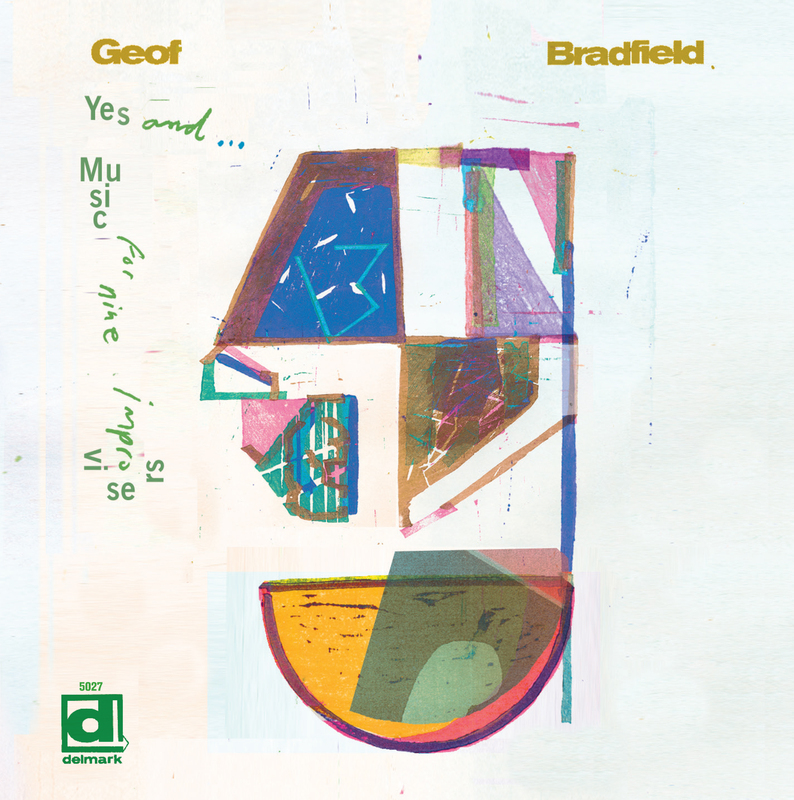 Geof Bradfield’s music is fun and playful and gives his chosen partners plenty of opportunities to shine. This is a heady little addition to the long, storied legacy of Chicago jazz.